Earn $12.49 in VIP credit (1249 points)What's This? 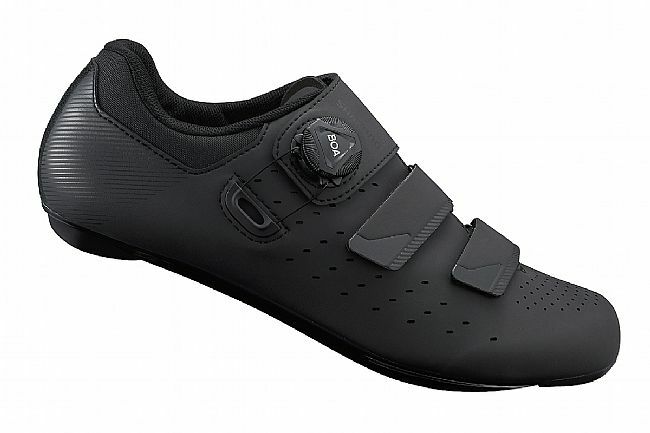 The Shimano RP4E Wide Road Shoe is an E-width shoe that features a high-performance design that's catered to endurance riders -- showcasing a blend of competition-optimized designs and comfort and efficiency-enhancing features. 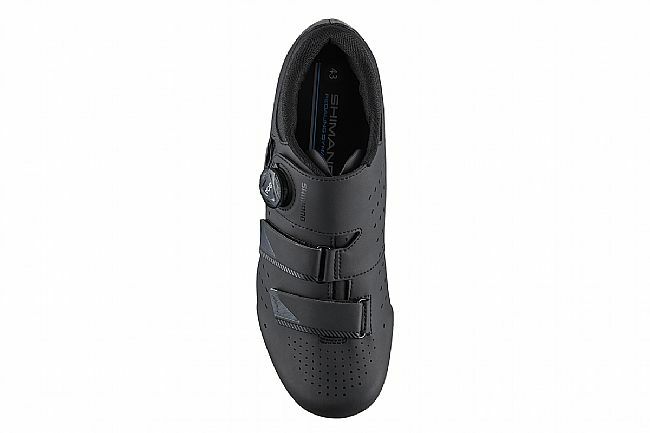 To ensure durability and conformity, this shoe is constructed of a supple, high-density synthetic leather. Strategically located perforations along the sides, at the tongue, and above the toes provide ample ventilation. 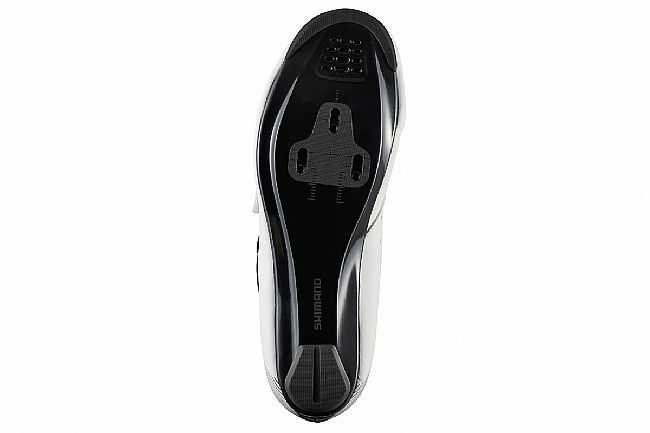 The lightweight glass fiber reinforced nylon sole facilitates efficient power transfer from shoe to pedal. Anatomically precise offset straps help relieve tension at the highest point of the foot, where pressure tends to be greatest. For a secure fit and quick yet precise adjustment, the RP4E features the micro-adjustable Boa® L6 dial. Glass fiber reinforced nylon sole. Moderately stiff outsole balances performance and comfort. Anatomically precise, pressure-relieving Offset Straps. 22mm cleat adjustment range (combined fore and aft).